Unisex shirt (for men and women). Made with sublimation printed fabric. Crew neck Raglan long sleeves. Semi-snug fit. Colour-customisable. (please, refer to our stores for customisations). Suitable for any sport. Piping inserted on the inside of the raglan. Narrow vertical stripes. 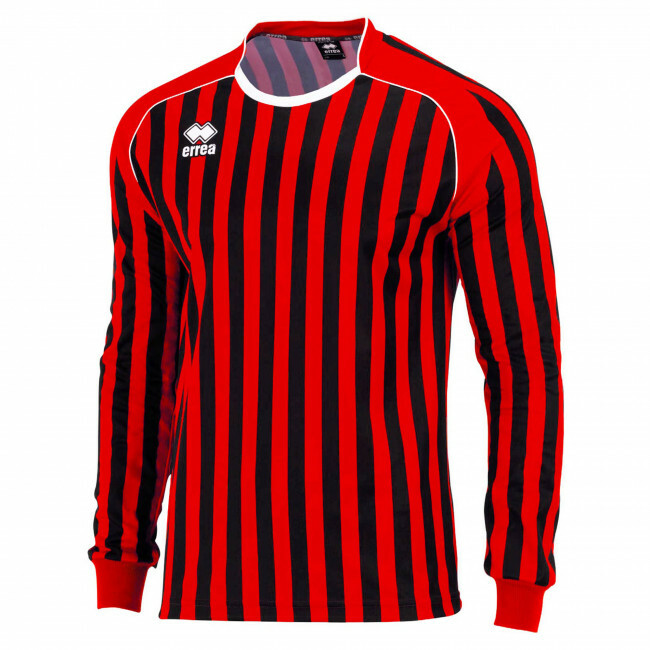 The Erreà Swindon long-sleeved top is perfect for any sporting activity, but is particularly suited to football. It is characterised by a very classic design with particularly narrow vertical stripes, reminiscent of the most famous football teams. This men’s and women's sports T-shirt is made of breathable fabric for extreme comfort on and off the pitch. The top is made of soft stretch fabric, characterised by pinholes facilitating rapid evaporation of sweat.